Water or fluids with meals? Insomnia: Sleepless Nights? Can’t Sleep? Menorrhagia: How Long Does a Period Last? Should I Drink Purified Water Or Other Fluids With Meals? Why Don’t I Drink Enough Water? 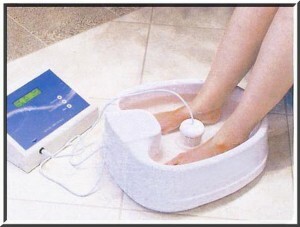 The ionic detox foot bath water has been analyzed by independent researchers. Look at the chart below. It shows that the water had ammonia, nitrates and phosphates that could have only come from the human body. All of this is proof that after the ionic foot bath process (or total body cleanse as we call it) the cells have literally dumped their toxins! Yes, these toxins are definitely being removed! The tap water analysis result are in the chart below in the orange row. Then the detox machine was operated with no feet in the water. The resulting water was analyzed and the results are in the pink row of the chart below. Each person was detoxed five times. Then, the resulting ionic detox foot bath water for their first and fifth detox was analyzed. The results are in the blue rows below. The water analysis indicates that the iron increased significantly in all cases. So the presence of iron is not an indication of the detox machine interacting with the person. We have to look at the other substances in the water to recognize the effectiveness of this process. The number for ammonia in the pink column on the chart went down to 0.00 when there were no feet in the water. However, when feet were in the water, the ammonia levels went up significantly in all cases. The ammonia went from 0.2 in the orange to as high as 2.59 with feet in the water. Where would the ammonia come from? When your body breaks down protein it produces ammonia as waste. Like many other waste products in your body, ammonia can be poisonous to your cells. The only way for ammonia to get into the detox water is from the person. Knowing that this process can assist with removing ammonia from the water can be extremely helpful. This is especially good for people with liver problems that can cause ammonia levels to get dangerously high. 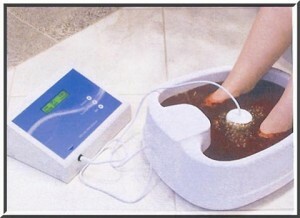 There is a decrease in the nitrates when running the detox machine without feet in the water. However, there is a drastic increase in the nitrates from 0.5 to as high as 12.0 when there were feet in the water. Where would the nitrates come from? Your body typically makes about 62 mg of nitrate each day. Eating foods with too many nitrates can increase the amount of nitrates in your body. This can pose a problem as the body converts nitrates into nitrites which can cause cancer. Knowing that the detox process can assist with removing nitrates preventing the formation of nitrites can be extremely helpful. The kidneys are responsible for filtering and passing excess phosphates out of the body in the urine. Any excess phosphates that the kidneys are unable to filter will appear in the resulting detox water. Therefore, there would not be any phosphates in the resulting detox water if there is no excess in the phosphate level. The water analysis indicates that operating the detox machine without feet in the water caused the phosphates to decreased to zero. When there are feet in the water, phosphates appeared in the resulting detox water for the first detox. However, by the fifth detox, very little to no phosphates appeared. 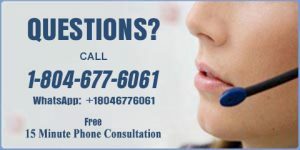 Email Us, How Can We Assist You? Optimum Health, Natural Healthcare Center is your primary care for natural healthcare. We have certified staff members who are committed to assisting clients nationwide in attaining their optimum health status naturally. We give you the personal touch as we become a part of your team that helps you strive for optimum health. Become a part of our family and heal utilizing traditional, homeopathic, alternative, complimentary and natural methods with health kinesiology, quality supplements and the elimination of toxins with total body cleanses. Copyrighted from 2007 to today. OPTIMUM HEALTH. All rights reserved.